RTI – Just For Sake Of Having It? Speaker Karu Jayasuriya on Tuesday has told a delegation of civil society activists of March-12 movement that the much awaited Right to Information (RTI) bill will be presented to Parliament before the end of this month, a sigh of relief for many its campaigners who have been waiting for this good news for the past many years. Speaker Jayasuriya himself has this subject in his DNA as he fought for this law, even through a private member motion under trying circumstances several years ago. The RTI or popularly known as Freedom of Information (FoI) Act was an election pledge of Maithripala Sirisena camp expected to be delivered during his 100-day program but did not materialize. When Prime Minister Ranil Wickremesinghe first informed the inability to adopt the law during the previous Parliament to a group foreign media experts at a meeting at Temple Tress in May this year, many of us participated in the meeting were initially disappointed. But when he explained the context, all agreed that better to wait another couple of months. The fear was that the Bill may get diluted in the face of a thick bargaining process between the then Rajapaksa led fraction who were still commanding the majority in the House and the minority regime led by Premier Wickremesinghe. There had already been precedence with regard to the 19 Amendment which underwent a similar bargaining process. The Yahapalana supporters did not want that to happen to the RTI Bill. Now the baby is ready come out, it seems, after many deliberations. The objective of this piece is to highlight two concerns with regard to the process. The first concern is on the quality of the Bill. 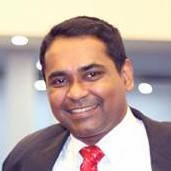 There had been a panel of experts who had continuously contributed to ensure the high international standards of the Bill through the Ministry of Media and I happened to participate in two such meetings convened by the then Media Secretary Karunarathna Paranawithana who is now a deputy minister with no media responsibilities whatsoever, though he possesses a sound knowledge on the subject of media development [but on RTI he may have a big responsibility in implementing it in local government level]. In both those meetings I noticed the poor knowledge and understating on RTI laws within the legal draftsman or the Attorney General’s department. In several occasions the state legal experts underwent through severe explanations and clarifications by these non-governmental experts who represented the civil society. I noticed that the state legal experts had no clue about the quality and high standards of RTI laws elsewhere. Thus, I feared the quality of their output and many shared my thoughts. But may be our observations were wrong, we consoled ourselves. Nevertheless, these fears were proved correct when I heard details of another (hopefully the final) meeting held last week between these non-governmental RTI experts and state legal representatives. Some of these non-state experts have had experiences in developing RTI laws in many countries through UNESCO and other UN systems and we are fortunate to have these internationally acclaimed Sri Lankans volunteering to assist the process in their own country, but whether their advices and contributions were taken in the right direction is a million dollar question. The draft presented to them at the last week meeting at the media ministry had raised many concerns. As there may not be another such meeting for the final review, these experts are not confident whether their responses will be accommodated in the final draft. RTI or as per the AG’s department Right of Access to Information, has become a cardinal benchmark in assessing good governance in the global context. Over a half the countries in the world have adopted them, but many countries have implemented RTI just for the sake of having it – mainly to tick the box in ensuring the practices of good governance. One of the best examples for such poor RTI mechanisms is our neighboring Asian nation, Thailand that had adopted RTI laws as far back as 1997 and became the 42nd country with such laws. “But Thailand is a failure as nobody uses it. We were the champions in Asia to adopt it, but without proper mechanisms and public awareness, we did not bring good results,” Thai media expert Kavi Chongkittavorn told a UNESCO round-table discussion on FoI laws in the Mekong countries held in Bangkok early this week. He stressed the necessity to have high international standard laws with proper mechanisms in place rather than ticking the boxes of the good governance list in a bid to appease the international community. The second concern is the role of the civil society who should bring this campaign to the grass-root and inform the public on how to use it for their own benefit. Sri Lanka should learn from the Indian civil society that fueled a massive mass movement in adopting RTI laws, as a people’s movement. RTI in India was a bottom-up process where as we are going in the opposite direction – which is fine, but should be with a proper public awareness campaign which should have had started by now. Another similar movement is now taking place in Vietnam and Cambodia. Both countries are expected to bring in RTI laws by the end of next year, but in Cambodia in particular, there is a significant grass-root level consultation process taking place coordinated by UNESCO. “It is a well-coordinated effort where the inputs from the grass-root level are systematically fed into the process of crafting the law. The highlight is the role being played by the civil society organizations,” the Executive Director of the Cambodia Center for Independent Media Pa Ngoun Teang told the Bangkok roundtable meeting. Sri Lanka is yet to see a similar role by our civil society. Forget the civil society, what about the media, which will be a main beneficiary of the RTI laws? Do we see a vibrant media platform that deliberates the issue of RTI in depth and explain its benefits to the public? Do they provide enough space and attention to this issue of immense public interest? Or at least does the average journalist understand the concept of RTI? Do we at least see a constant news coverage on RTI, mainly by our local language media, except for a once-in-a-blue moon news item? Do they at least bother about it? There are three necessities with regard to RTI, as far as I understand. The first is to have a high quality law with international standards. The second is to establish a sound implementation system of the law with proper human resources and effective mechanisms throughout the country. The third and most important factor is public awareness. If a farmer in a rural village does not know how to make use of this fantastic tool that strengthens his entire lifestyle, both the above factors become null and void. If Sri Lanka fails to address these three factors effectively, it may become another Thailand as per the RTI laws. The SLTB has a Rs 6 Billion loss. The losses have kept mounting for many years. Apparently the administration is reluctant to reveal the information. The commission reports never see day light. Apparently the they find certain MPs responsible for short comings. A reluctance to reveal their identities have emerged. Unless problems are uncovered they never can be resolved. Things have festered for many years rotting away at the core. The RTI is essential to shine a light on these things. There is an unwritten law that when a law is enacted,itself its considered that it has been communicated and understood by all citizens. what a funny this is? This is the root cause of unawareness of many laws …so the bottom up and participation is the solution. The other important point is when a law is enacted only a lawyer /legal expert can understand the text even sometime lawyers also struggling …so how we can expect the use of it from an ordinary citizen…? We need another Lee Kwan Yu in Sri Lanka. He was shrewd enough to choose the Best Qualified Person for a Job, Regardless of His/Her Ethnicity. The Right to Information by law, exists in 95 countries. Secrecy of intentions of a state/government leads to misrule and totalitarianism. This is why corrupt unjust governments oppose it. I hope that an RTI Act will be passed soon. It will but like many other good and modern acts it is unlikely to be implemented. My expectation is that RTI requests will not be answered and documentation will vanish. UNP is also reluctant to bring it. They could easily bring it now and get it passed. The excuse is Geneva and Human Rights issues. Ranil has to deliver on this promise before the end of the year.